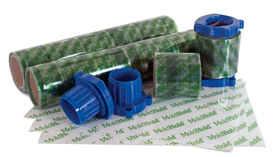 Are you interested in becoming a MoldHold Distributor! Click the tabs below to access, open and print a hard copy Dealer Application which you can then scan and email to us. NOTE: You will also need to click the link for the Georgia Sales And Use Tax Agreement, Certificate Of Exemption. Print and complete the form, scan and email it to us when you submit or email your Distributor Application.